This is my brutally honest ghost encounter from July, 2018. I appologize for the mini novel - but bare with me. To this day I cannot fully comprehend what happened. Maybe someone in this online community can help me understand what it all means. Up until this time my ghost experiences were minimal and I still find myself sitting on the fence between known science, psychology, the paranormal and skeptism. I was at the castle for 5 days, staying in a shared female dorm (8 beds) and my encounter happened on night 4. It was the height of summer and our top floor castle room was unbelievably hot (~27°C) and I found myself struggling to sleep yet again. I don't know the exact time, but I believe it was around 2am. I had gotten up 10 minutes before to descend the 3 story spiral staircase (I dubbed Mt. Everest) to go to the bathroom, and I was laying back in my single non-bunk bed surrounded my snoring ladies. I turned on my left side to face the wall; I remember thinking about how hot and sweaty I was and wondering how I was going to get back to sleep in the heat. Suddenly, a very large male hand, fingers extended palms flat, started from the top of my head and stroked down my hair with strong pressure. For obvious reasons a jolt of adrenaline hit me, and I've always been a calm fighter during 'fight or flight' incidents. What happened next is where things get extra weird. The large male hand moved towards my abdomen area and out of instinct my right hand sprang up and caught the wrist of the hand before it could touch me again. I remember I was holding fast his right hand by the wrist and he was trying to pull his hand back, but I was stronger. Like some sort of paranormal/energetic tug'o'war. I tried to scream to alert my roommates of my attack, but I was fully paralyzed except for my right arm. After about 15-20 seconds I felt everything abruptly stop, like a light switch turning on. The attack was over and my paralysis was gone. I could move and make sounds again. I sat up quickly and looked around the room, everyone was sleeping in their own beds. I estimate the attack lasted approximately 30 seconds from start to finish and after I felt no residual presence in the room. To this day I don't fully understand what happened that night. Does partial sleep paralysis exist - and does that explain how I was able to fend off my attacker? Was it completely psychological - despite spending previous nights in the same room without feeling fear? Was I being attacked by energy and maybe somehow I was able to energetically take charge? I'd like to point out that if this was sleep paralysis it would be the the only incident of sleep paralysis in my life. Also, there is zero chance that anyone of my roommates/guests could have done this and it was not completely dark and no one was moving around our squeaky floored room before and after the incident. At the time I felt 100% awake. Again, sorry about the mini novel but I could really use some insight and I don't know who to turn to. Also, for those interested, I did move beds the next day and checked out 1 day early (I paid for 6 nights). After the incident a staff member told me that no one's reported being touched in that room but a few guests have reported waking up to hooded figures standing over their beds. So naturally I'm not too happy about the 'touchy-touchy'. I went to this castle to experience ghosts and I may have got my wish. Either way, bucket list item checked off. My Crucifix Will Not Stay! The following comments are submitted by users of this site and are not official positions by yourghoststories.com. Please read our guidelines and the previous posts before posting. The author, Chaos85, has the following expectation about your feedback: I will participate in the discussion and I need help with what I have experienced. Thank you for your thorough response. This certainly was a harrowing experience. Best of luck with your "bucket list". Wow, I can't believe how many responses my experience has received in a week of being posted! -I'm open to both spiritual and scientific explanations (I dip my feet on both sides). I used to be a ghost tour guide in my home city and have always had a fascination with the paranormal. Saying that, retelling stories and experiencing an event are like night and day. Also, I feel it's important to mention that I don't dabble in envoking or summoning despite my fascination in ghost stories and lore. 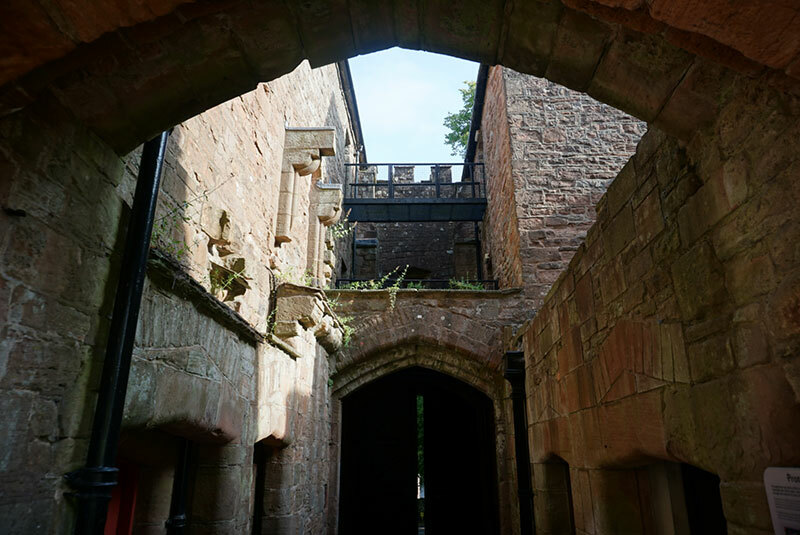 To be honest, my decision to stay at St. Briavels was fueled by a ghost hunting curiosity and a desire to experience the paranormal first hand; letting it happen organically and not by 'daring ghosts' or being disrespectful). Q. How did you know it was the right hand? A.I knew it was the right hand because, while I was grasping hold of the wrist, I could feel his thumb joint while he was pulling back. (Of this I am 100% sure of). Q. Was the hand claw like? A. The hand didn't feel claw-like, but it felt like a very large masculine hand. (Waaaay larger then mine and I'm very big boned - my shoe size is ladies 12). Q. Was the hand hot or cold? A. Temperature wise, I didn't notice if it was giving off heat or cold... So, I'm going to say it was neutral temperature. I have thought about this but nothing stands out in my memory. Q. Did you see the hand? A. I didn't see the presence or the hand because I laying on my side facing the wall with my head squashing a pillow. When the event happened I was not able to turn my head due to paralysis, although I really wanted to scream or move or do something. Q. What about previous ghost information about the castle via documentary or stories? I didn't hear any ghost stories about the women's dorm room until after my experience. I did hear a few personal stories from staff members about things they've personally experienced or seen, like a ghost cat on the stairs or sound of horses in the dining room (previously the stables)... But nothing involving touch. Q. What did you do at the castle? A. My stay was spent exploring the castle and the area. I was able to spend time alone in every room, including the prison, oubliette, dining hall, chapel, spit dog room and guards room (mens dorm). Other then a mild feeling of being watched (mostly in the guard's room), I can report no paranormal incidents during the day. Q. Did you go to Tinton Abbey? 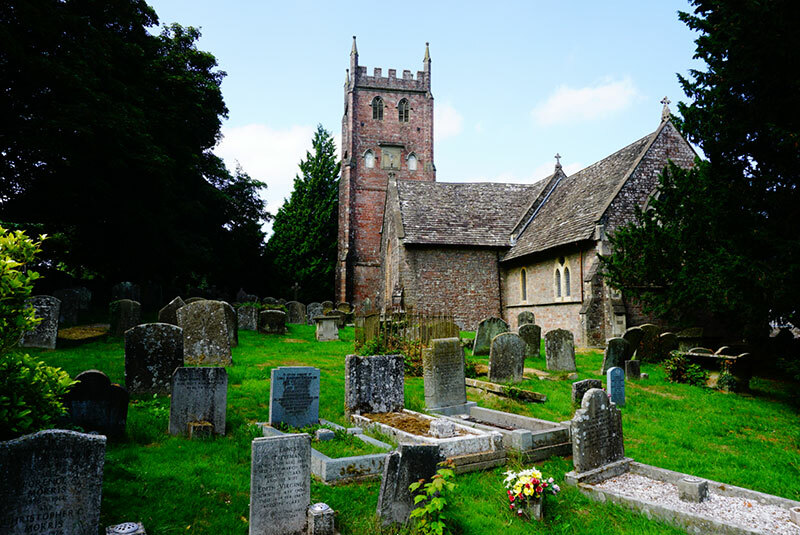 A. I didn't make it to the Devils Pulpit or Tinton Abbey as I was on foot, (I took a taxi from chepstow). I did hike through the forest of dean, but had an incident with a thicket of nettles, so I was less enthusiastic about going for long pedestrian footpath walks after that. (I'm Canadian - Nettles are new to me, lol). Beautiful countryside though! Q. How did the attack end? A. The incident ended as abruptly as it started... Sort of like breaking a spell. As I said, I've never experienced sleep paralysis before or the feeling of being touched, let alone touching back. The last thing I remember I was fighting to hold the wrist as it was being jerked back, trying to scream and move - then suddenly nothing. My right arm could fully move again and the wrist/arm/hand was gone and I quickly sat up and looked around for my attacker... And there was nothing. Q. Someone else asked about my fight or flight instincts. A. I've had a few adrenaline fueled fight or flights incidents to know that my reaction is to remain calm and proceed with methodical action... (panic later). - Some more info about me; I've taken a few Shaman courses, energetic courses and practice smudging, medication and divination. Crazy bucket list wise, during my travels this year I got to see icebergs, stand on the equator, ride a camel in the desert (which was 100% for the photo), go on safari in africa, swim in the atlantic ocean and take a pasta course in tuscsny... 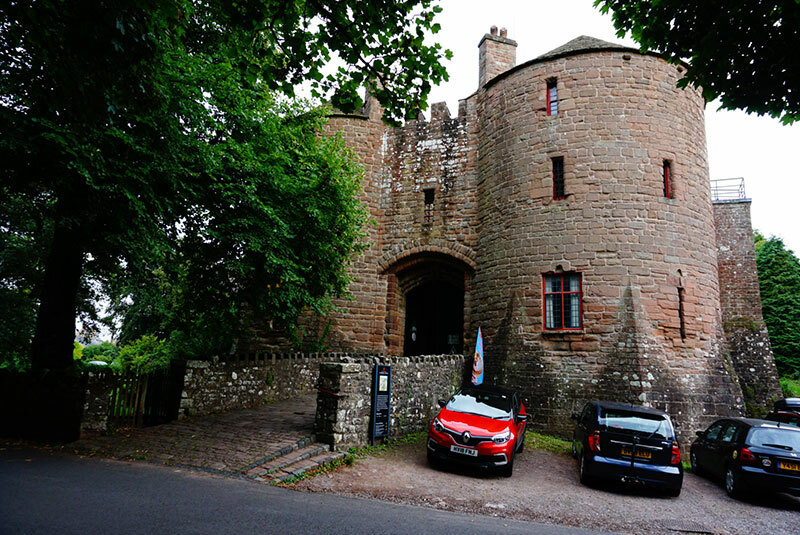 So staying in a haunted castle isn't such a crazy notion... At least I don't think so. I might even do it again one day! Thank you again for your responses. My instincts tell me that whatever 'it' was, it tried to get fresh with the wrong girl. Maybe some of my energy work has paid off - saying that - I wouldn't want anyone to experience this - I often stop what I'm doing to think about it and replay it in my mind. Cuddlebear - I had to reread the story and you are right, there's nothing in the narrative suggesting that Chaos could see the hand so, unless its fingers were claw like bent and she could feel the distinct pressure from the thumb? I guess we'll have to wait for Chaos' feedback to get this clear. Val ~ Thanks I knew what a "Bucket List" is, I just don't understand the urge to do one, especially in a younger person. But then I Don't need to. Lady-G ~ I was under the impression, I don't know why, that Chaos could not see the hand. But you are certainly correct. It's interesting that you were able to touch it and it didn't disappear like other people have experienced. Do you remember the feeling of the hand, was it cold? Did it feel 'human'? Did it just vanish or did it get tossed? Sorry for the interrogation, I find your story very interesting and want to know more. Cuddlebear, A bucket list is a list of things we'd like to see/do before we 'kick the bucket'. Get it? Cuddlebear - not meaning to answer a question directed to the OP but, I imagine one could tell a hand's 'side' just by looking at the direction its thumb is pointing at. As if a disembodied floating hand wasn't creepy enough, the thought of touching it...yikes! Chaos85 Greetings and Welcome Aboard! I don't understand the "Bucket List" thing, but suum cuique. Good luck with yours! I have stayed in a number of "haunted" inns, B and B's, and what nots; never experienced anything out of the normal. My wife tells me I'm not open to such manifestations. I never stayed in a such an old place it must have been cool and interesting, up until your event. You mention that it was a large male hand and that it was the right hand, how did you determine it was the right hand? What happened to the hand? You mentioned that the attack stopped, but how did it stop? Did the hand melt away somehow? You grabbed the entity's wrist. Do you know, or do you have an idea, of how the hand/wrist terminated? Could you tell if it was a disembodied hand/wrist or could it have been attached to a more substantial entity? Very high creep factor for this story! I commend your courage for fighting back. Greetings, Chaos85, and welcome to YGS. Thanks for sharing your experience with us. In answer to your question, yes there *is* such a thing as partial sleep paralysis. HOWEVER, partial sleep paralysis is almost exclusively experienced when REM sleep (the dreaming part of the cycle) is interrupted by an external stimulus. This is the exact opposite set of conditions to those you describe. You were trying to return to sleep, which is understandable, but you would have been aware of needing the loo after you'd completed at least one entire sleep cycle (90-120 minutes). No one makes it down three flights of stairs, relieves themselves, ascends the three flights of stairs, and returns to the correct bed without waking up. Additionally, the dimensions of typical Norman-era castle spiral stairs can trigger vertigo in a significant percentage of the planet's population. Any sleepwalker who took more than four steps on a millennium-old spiral stone staircase would most likely be found in the morning with a broken neck at the bottom of the stairs. The spiral staircases are dangerous because they were were designed as choke-points for enemy invaders *if* they made it into the castle. You'll notice every set of spiral stairs from that era corkscrews upward from left to right; that's because the defending guards (right-handed, thanks to the teachings of the Catholic church) heading downstairs would have room to swing melee weapons at the invaders, while the invaders (also right-handed, same reason) would need to operate their weapons next to the central pillar of the stairs, thus limiting their range of shoulder and elbow movement, while their shields would collide with the steep steps, thus becoming more of an encumbrance than a defense. As for the energetic/physical question, I'd venture a guess that the spirit assailant was unaccustomed to women who are prepared to defend themselves. His efforts to pull away suggest to me that your strength & natural instincts were functioning together to keep you safe. I've had a variety of experiences when my relatively harmless-looking body has been entirely fueled by my -um- outsized personality, leading to alarmed people, a terrified guard dog, and a spirit being exorcized from my kitchen. Would you say you have an intellectual anger that plans during a crisis, rather than simple emotional reactions to dangerous stimuli? If "yes," then you were both physically and 'energetically' present in your reaction, which is what made your self-defense effective. If I've mischaracterized you in any way, I apologize. If my surmise is correct, please let me know. Chaos - that was creepy! I have no idea what it was but am glad you were able to stop it... Perhaps "Thing" from the Addams Family? © The ghost story Bucket List Item - Stay In A Haunted Castle is copyrighted to Chaos85. Edited by yourghoststories.com.